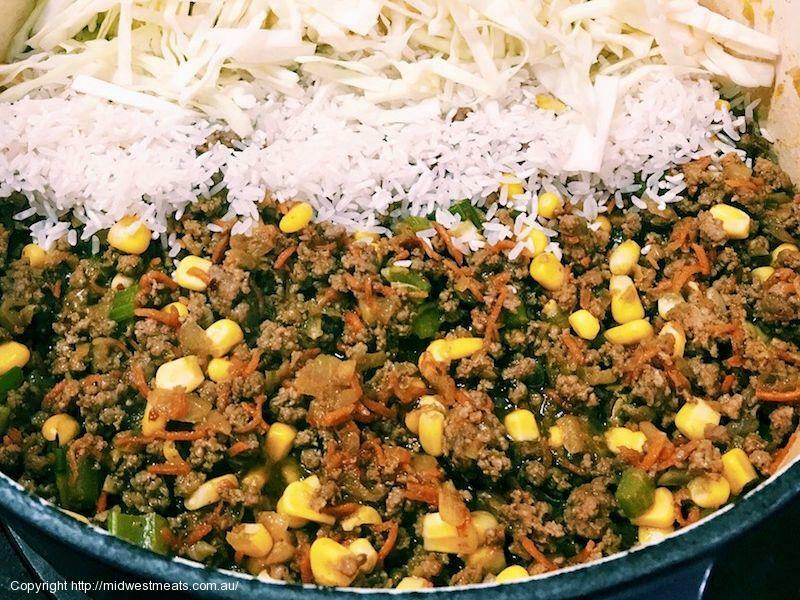 What a wonderful wholesome treat for the whole family especially when used with MidWest Meats freshly minced local, grass fed beef mince and pork mince. Easily to reheat, for a quick family meal or lunch box treat. 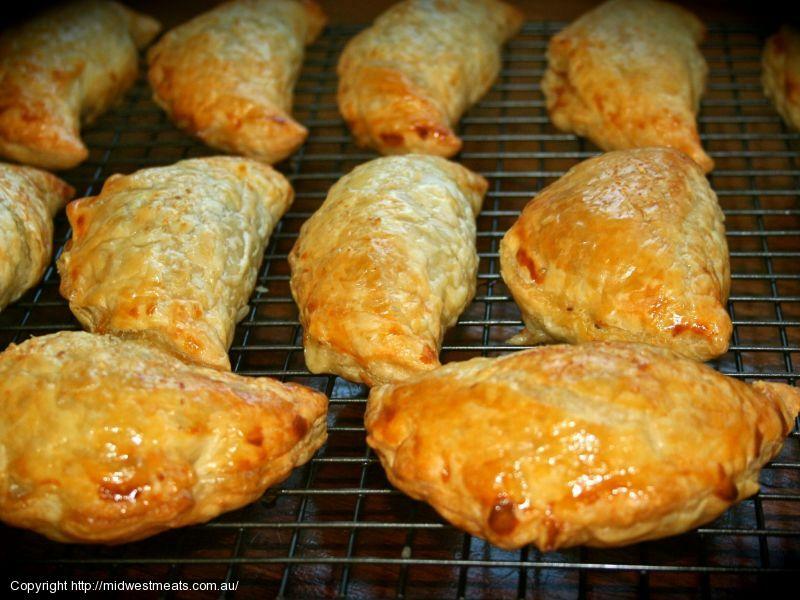 1 batch = 12 bite size pasties, or 6 larger bakery size as pictured. Creating your own Meat Rub is very rewarding. Balancing flavours to your own unique taste is always going to give you more pleasure than a product sourced that is made for the mass market. I use the wonderful locally roasted coffee from Kazbah Coffee Roasters for this recipe. The family business also hails from Birregurra so we are proud to stock this product. It makes for an even better meat rub. Have fun with my recipe, but don't be scared to individualise your Rub. Embrace your unique taste buds and celebrate your individuality. Use this rub to create the perfect pulled pork, a delicious chicken breast or flavour up a casserole. A great dry rub to prepare meat for USA style BBQ smoking. This is one of my preferred rubs for low and slow smoking of whole Brisket & Short Cut Beef Ribs. This is a spice that keeps on giving. Best on pork, creating a distinctive smokey flavour which is why I prefer it when cooking USA STYLE pulled pork! However you can also sprinkle on salads and vegetables. This dry rub also works well as chicken marinade prior to BBQ or smoking. Inspired by the amazing smoky American style BBQ flavours. This Breakfast Roll will have your friends and family lined up at the door all day. 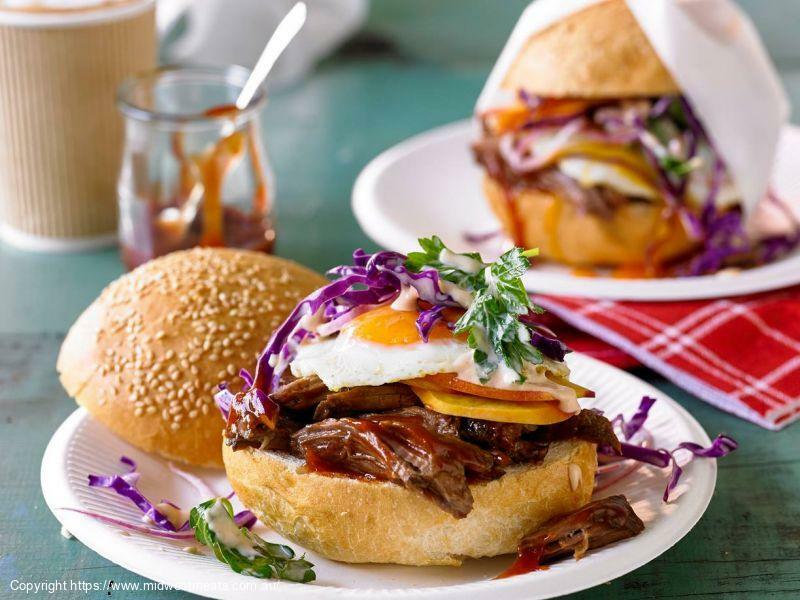 This breakfast roll plays on the traditional Aussie Breakfast Roll with bacon, eggs and slaw and incorporates American style BBQ flavours. When in season grab a bottle of my Bull In A Bottle BBQ Sauce made from local Birregurra Red Plums and get ready for a taste sensation. 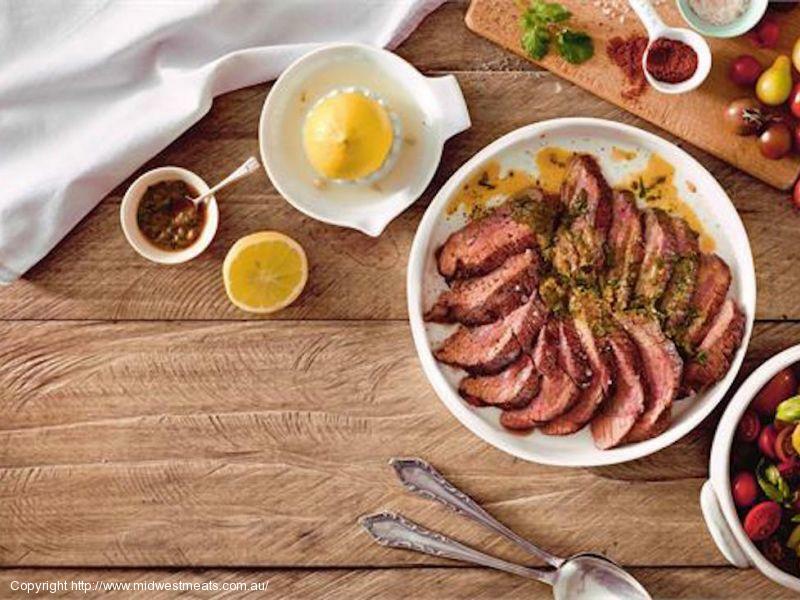 Use the braised topside as a base for other dishes, such as Beef & Salad, wraps or even in a Taco. Remember, just cause its a Breaky Roll does not mean you can't enjoy it ALL day. A wholesome hearty meal that will keep on giving. A family favourite in my country kitchen. Perfect for a lunch the next day if you have leftovers. Often easily adapted for a slow cooker. Beef Short Ribs a country classic! "Brine" is an old country cook and butcher technique that will transform a tough, less expensive cut of meat into a magnificent "top shelf" dish. With pickled pork and corned silverside we do the brining for you, however its a handy skill to master, and extremely simple. Here's the thing, if you treat grass fed short cut beef ribs with a little "TLC" such as brine and beer, it can transform into a piece of beef that is truly amazing. Beef Short Cut ribs are a less expensive cut of beef that require lots of time to cook. They are easy to prepare. Have a go at my "low & slow" Beer & Brine Beer Glazed Beef Ribs, you'll be back for more. Although time is crucial in this recipe, the actual techniques are super simple. 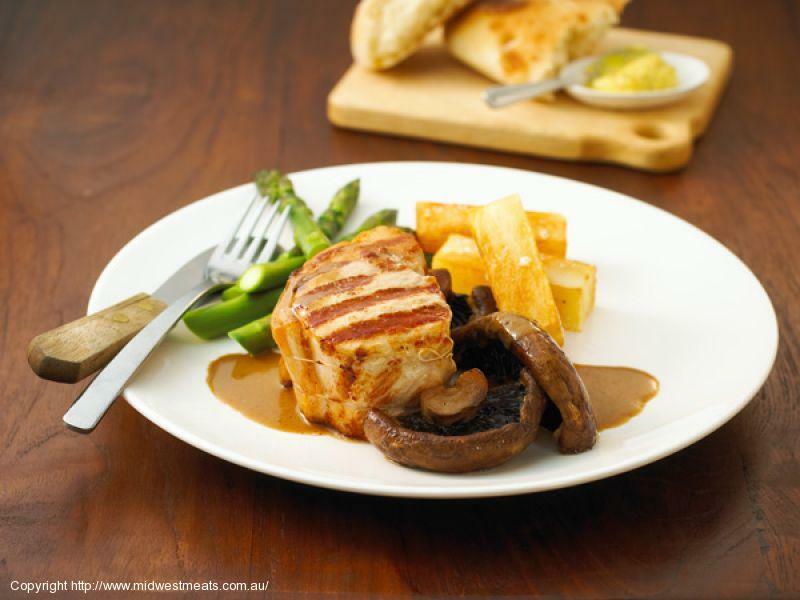 A tasty wholesome dish perfect for a chilly winters night. This dish is perfect for a dinner party or a simple family meal. I like to open a lovely bottle of shiraz and share it with this one pot wonder. 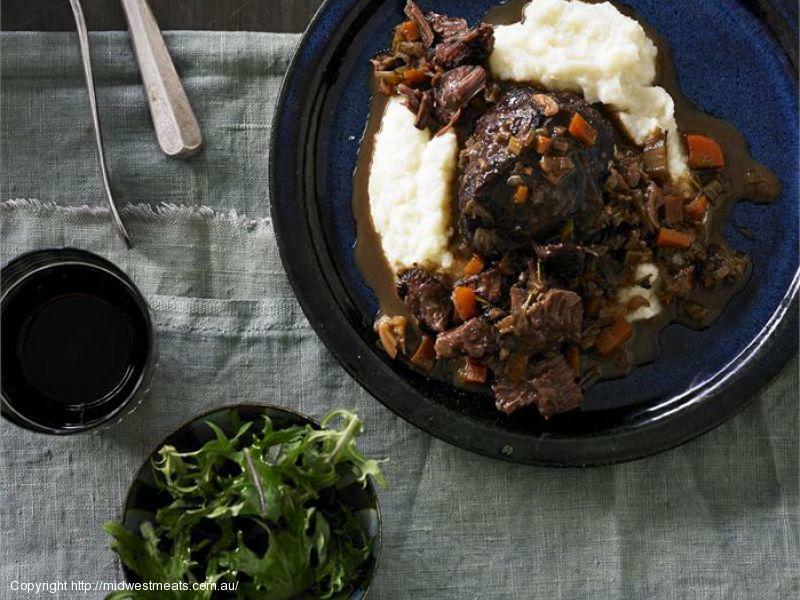 Make Beef Cheeks a feature on your winters menu and you'll be dining 5 star at home! A Country Kitchen family favourite. So simple and wholesome with a flavour that pops. I've highlighted seasonal summer vegetables I grow in the garden, however use your favourites. Chicken Marylands are such a wonderful cut of poultry, fabulous for portioning. Try them today! Lamb Shoulder is a traditional cut that lends itself to slow cooking. 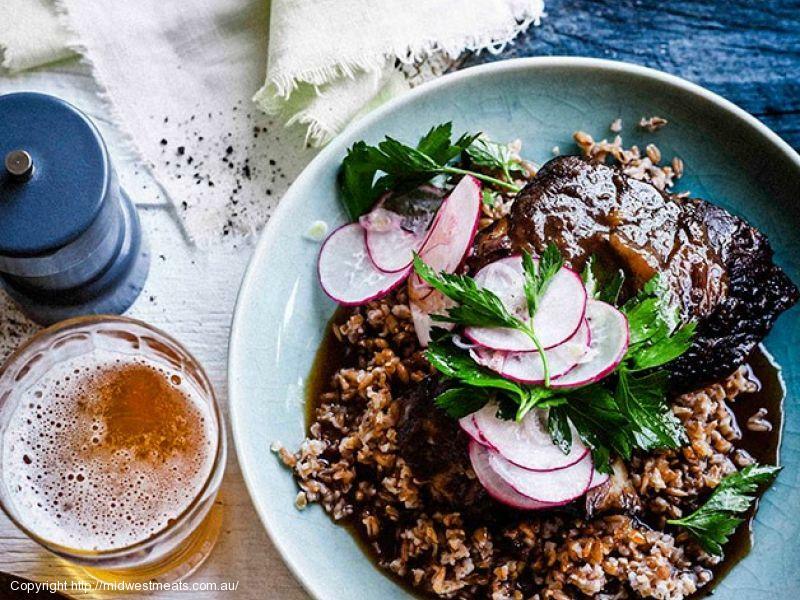 It is your personal choice to use either local grass fed Lamb Shoulder Bone In or Lamb Shoulder Bone Out for this recipe. Bone Out Lamb Shoulder will require a little less cooking time, about 30 minutes and it will be easier at the end of the cook as the bones do not need to be removed for shredding and serving. 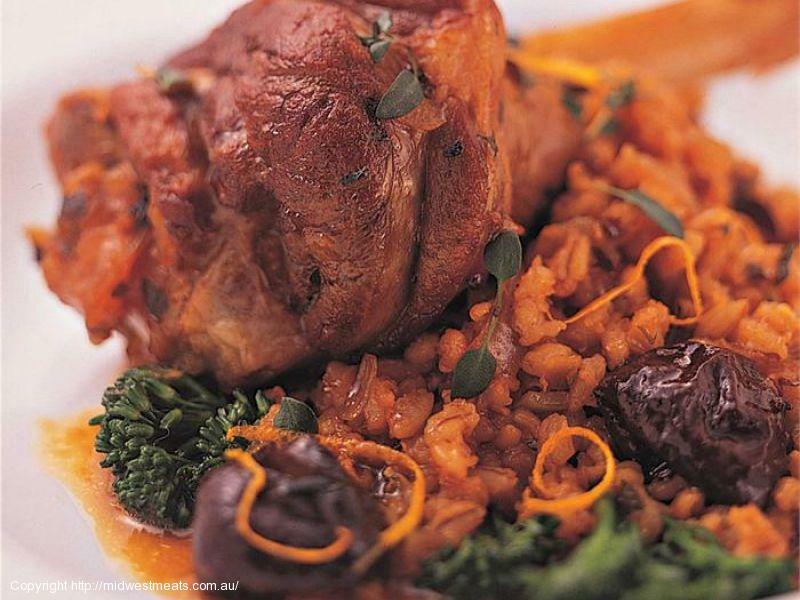 Bone In Lamb Shoulder will provide more flavour, but does require the removal of the bones before serving. This is the cut I use, as I simply use tongs to remove bones. You can add almost anything you like to this dish! Serve with leafy vegetables such as Cavolo Nero Cabbage, Silverbeet or on top of Crispy Kale. 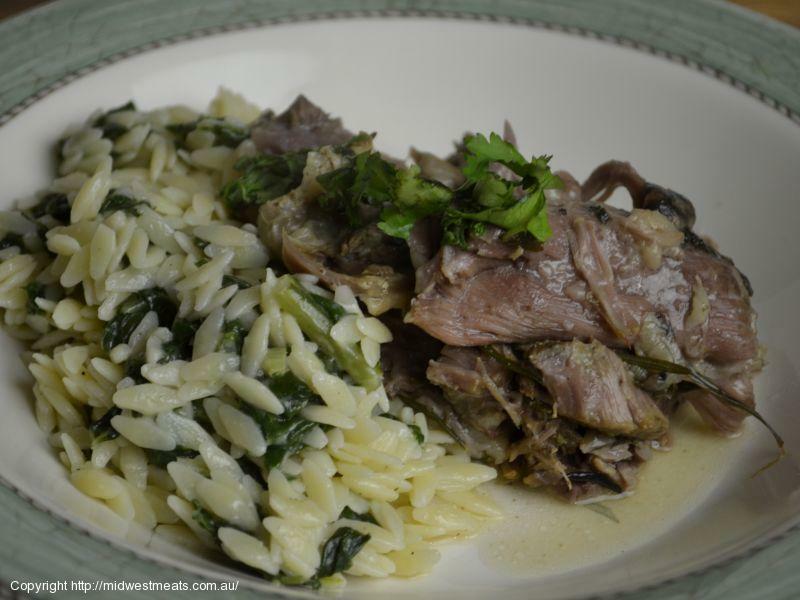 Toss your shredded lamb through Risoni or noodles, or simply serve with Greek Salad or in a fresh crusty bread roll! I often make this dish for guests, with traditional Greek flavours which compliment the beautiful flavours. You'll feel the love when you announce Chicken Schnitzels on the menu especially when using our local fresh Chicken Breasts. Want to save time, we've freshly crumbed chicken breast for you today, click here to have it delivered to your door. If you feel like crumbing your own schnittys, why not add some lovely ingredients to your crumbs! Here's a favourite from My Country Kitchen. Feeling like a Chicken Schnitzel with a whole lot of goey love inside, try our Chicken Roma's. Already, prepared, simply shallow fry. Delicious with all your festive meats, particularly Turkey & Pork. I love baked Christmas Ham. Hot, cold or fried with eggs for breaky when there is any leftovers! I have wowed countless Christmas guests over the years with this simple savoury Christmas Glaze! If only they knew how simple it is! To celebrate the launch of the MidWest Meats Country Produce Pantry I am starting with my secret recipe! No longer a secret, now a gift you can all share with family and friends be it Christmas, or Easter or whenever you fancy a wonderful house smoked MidWest Meats Ham. Do not be scared of baking a Ham on Christmas day, it really is only infusing the meat with the glaze and only takes around ½ hour for a ½ ham. 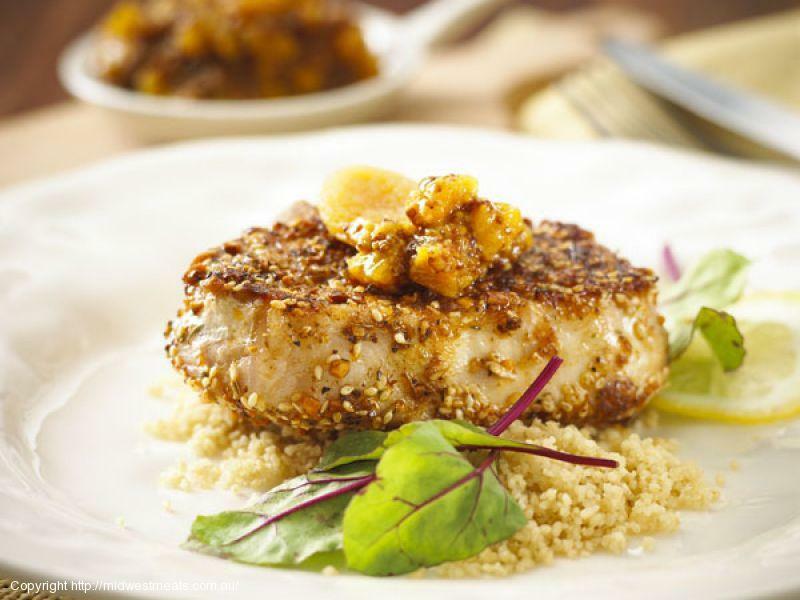 Combining a little citrus with your meats is a wonderful flavour infusion. 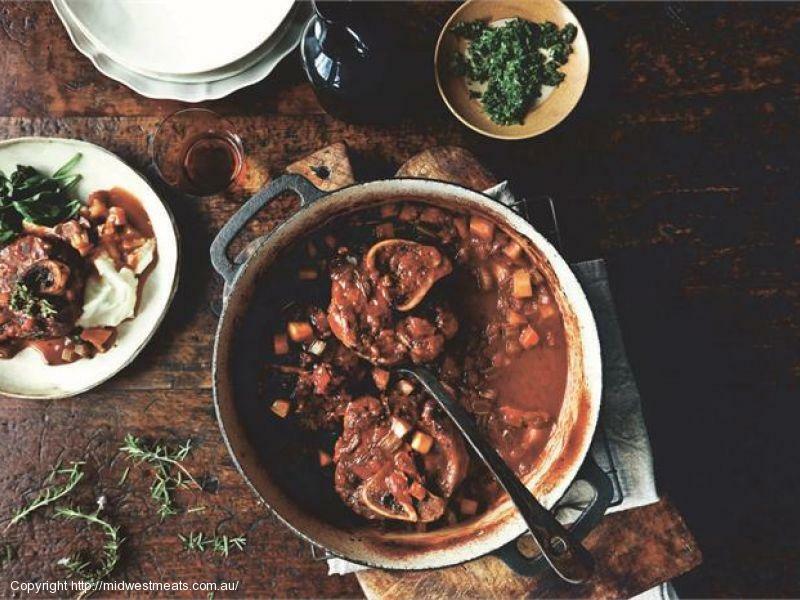 Lamb Shanks traditionally used for soup have become one of Australia's most favourite cuts of meat. Such an easy way to feed the family or guests. This recipe is fabulously simple, try it today! Everyone loves a Quiche, especially REAL MEN. Round here our men are cowboys, and they never say no to one of my Quiche piping hot straight out of the oven. I find putting MWM house smoked farmers bacon in any dish makes it appealing to the men on my farm! We never have leftovers. I love baking a quick Quiche, just throwing in whatever I feel like or whatever is in the fridge. The richness from our Inglenook Farmgate Cream adds a silky smooth dimension to the Quiche. On our farm it sometimes rains free range eggs, other times I pop up to the corner and grab a dozen from the local free range egg farmer, also sold in store. 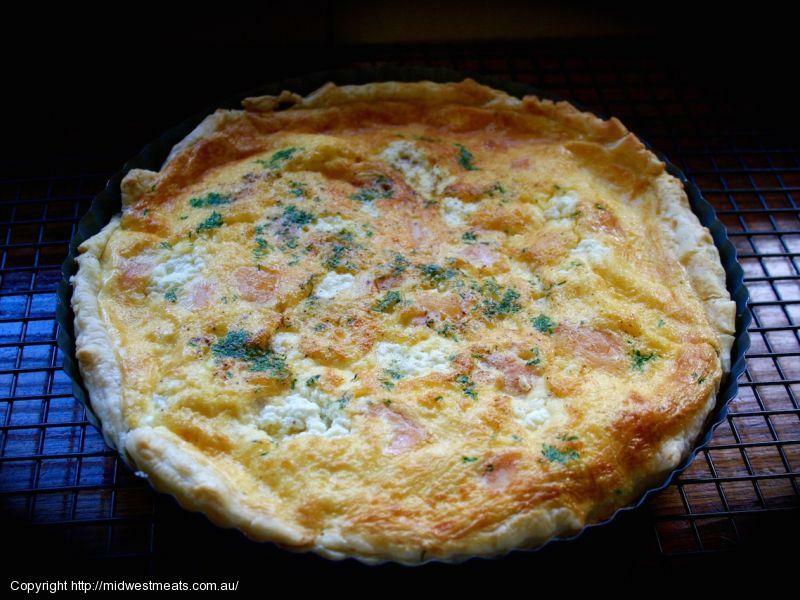 I often bake two Quiche, as they are great for a light lunch or even a little get together. It's up to you if you wish to line your Quiche with pastry, a decent frozen puff pastry will do the job if you don't have time to make your own. Blind bake your pastry and cool it down prior to pouring in your Quiche mixture. Smoked Salmon & Dill is a favourite but today we are making a #MyCountryKitchen favourite ~ Bacon & Cheese. 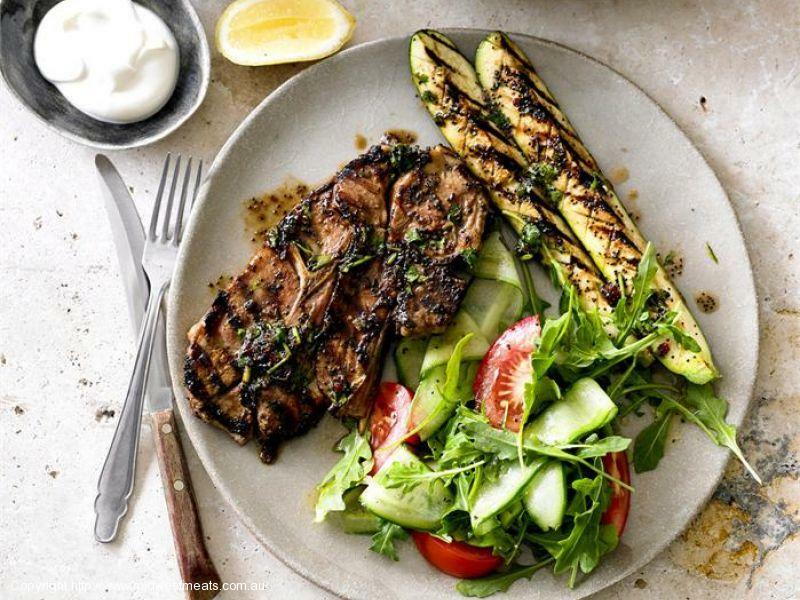 A simple, healthy and delicious BBQ to share with family and friends. Served with a delightful fresh Greek salad you cannot go wrong! Getting your european flavour balance right can be tricky, but no need to worry, I've done that for you! This is the chicken soup ruler of the world! Can be used for medicinal purposes, as it always makes you feel like your warm and cosy! Take my vegetable selection suggestions liberally, use whatever fresh vegetables are on hand and seasonal. 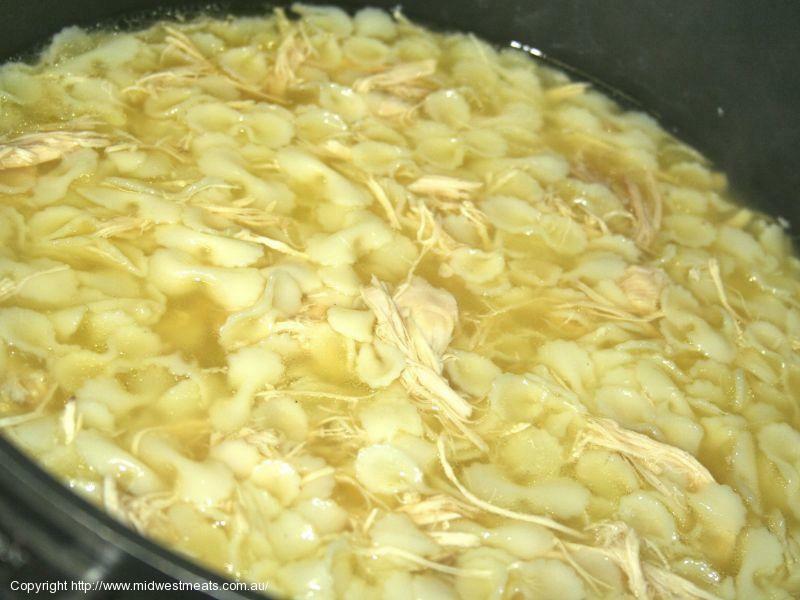 Always use fresh chicken when possible, as some of the nutritional value may be lost when using frozen produce. Freeze the finished soup in portions for a quick and delicious lunch or for a quick cure for family members that need a little love. Fresh locally farmed Lamb Chump Chops are one of the most underrated cuts of lamb about. The chump chop is a tender, delicious cut that is often overshadowed by the BBQ Chop for no apparent rhyme or reason. Seasonally all the vegetables may not be accessible, but that’s okay, just use what you have! The recipe works really well if you replace onion with leak. The onion, carrot, celery & parsnip are your must have’s! Ohhh & the beans, I love green beans! Make the dish the night before for greater flavour infusion. If you work from home like me, cook in morning. It's a little bit of prep but once that’s done, nothing else to do but dish up! The Hero of this dish besides you for making it, is the Chump Chop! A family favourite than can easily be adapted to suit those of you that like it HOT! Lamb Shoulder is the best cut for this recipe as it has the perfect balance of fat ratio to bring out the flavours in this curry. Ask one of our talented butchers to prepare the mince for you or select Lamb Mince. My recipe walks on the mild side of curry. It was created when my kids were small so had to be more flavoursome than hot. .I've spiced it us as they've got older. 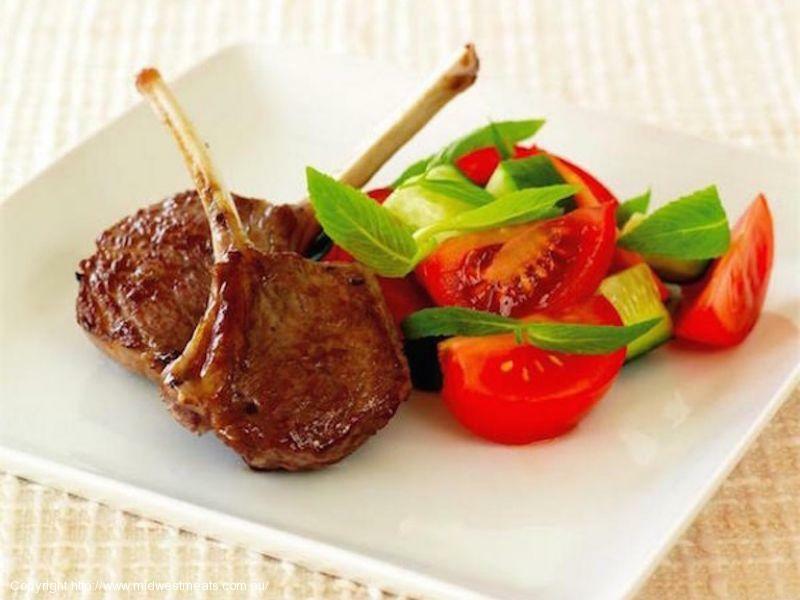 A wonderful tasty simple lamb dish that can be cooked with a little oil in a pan or on the BBQ. Perfect for entertaining or an easy meal for the family. A healthy treat for the school lunch box or a wonderful picnic in the country. Simple, delicious light & fresh. A delicious wholesome family favourite in My Country Kitchen. Serve hot with mash potato, or cold with salad. 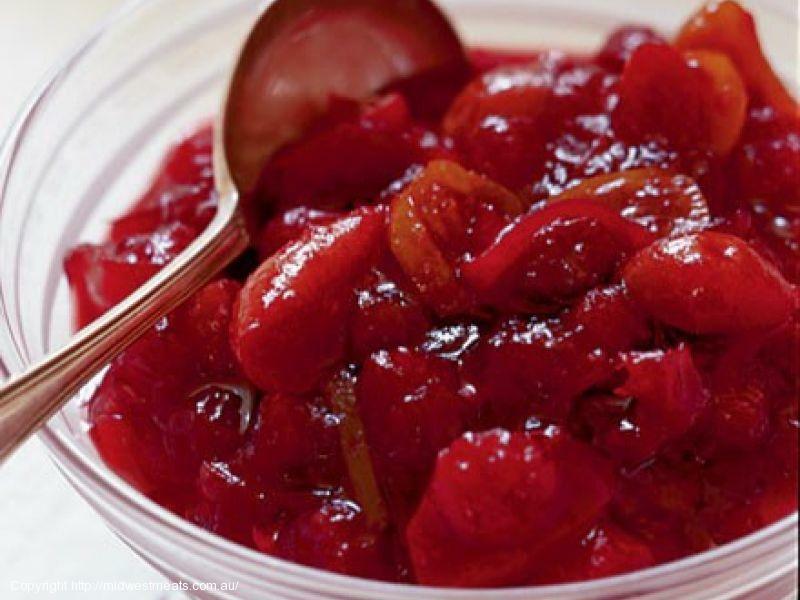 A dollop of your favourite homemade relish, pickle or tomato sauce will make this meal shine. Try a Meatloaf Sandwich on crusty bread for an awesome picnic lunch with a few ales. You will need a loaf tin to achieve the perfect shape. When shaping your meatloaf, wet your hands a little, this will make creating a picture perfect meatloaf a dream. I use a mix of Beef Mince and Pork Mince to balance the flavours in my Recipe, however you may simply use Beef Mince if preferred. To get that authentic Country Kitchen flavour try my Wild West Worcestershire Sauce. When the weather heats up its time to heat up the chargrill too! Try my super fresh, simple recipe which shines when using amazing fresh local produce. Just for the record its my husband's favourite light Spring meal, as he is a Mint Jelly Freak. I love making my own Mint Jelly using apples and ginger for a flavour kick. However, a good jar of Mint Jelly will do the trick for this simple delicious family dish. Check out The Country Pantry for locally made condiments that compliment your MWM fresh produce selection. This recipe also works well using your grill and substituting lamb cutlets for lamb loin chops. A family favourite that warms us up on a chilly farm day. 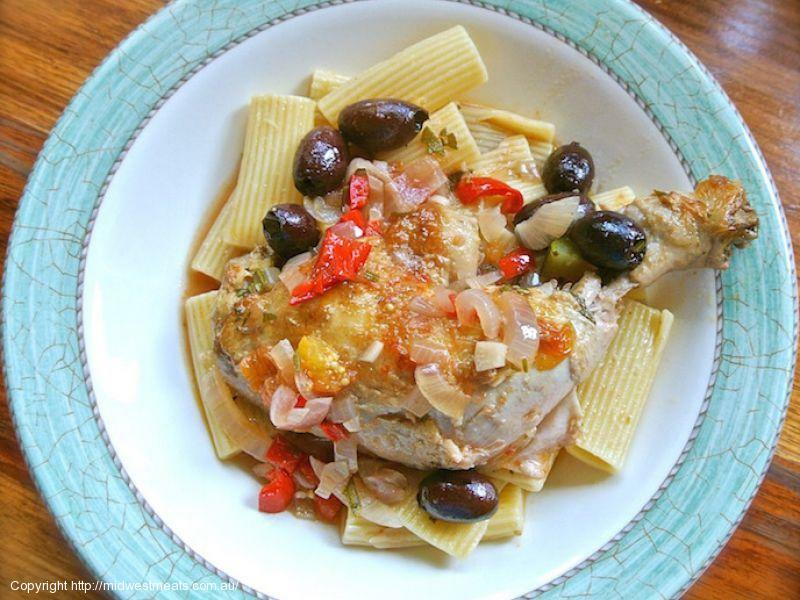 As always I'm looking for simple, economical and flavoursome recipes for my family. This one pot wonder delivers on all counts. 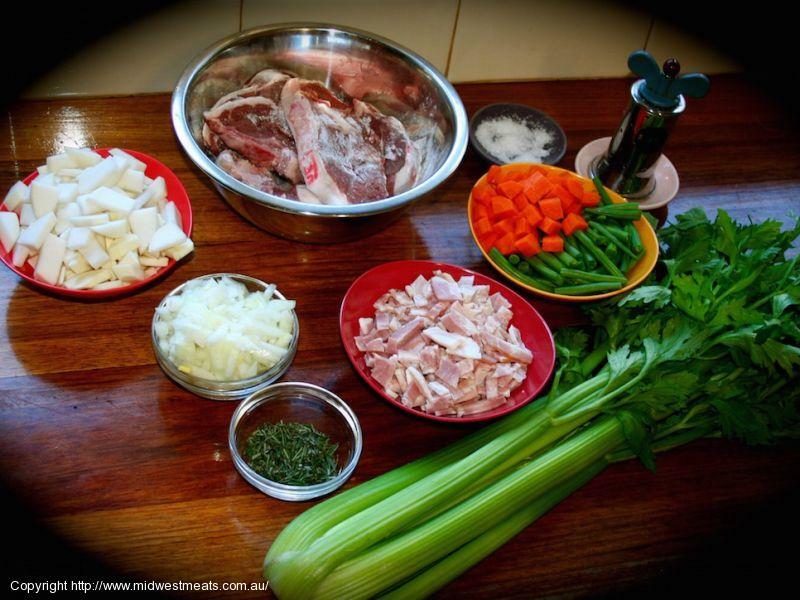 There are many ways to prepare Osso Bucco, however I believe the Italians got it right. This is my Aussie twist on a traditional Italian favourite. Its all about quality pickled pork with this recipe, not some chemical induced imported piece of pork! 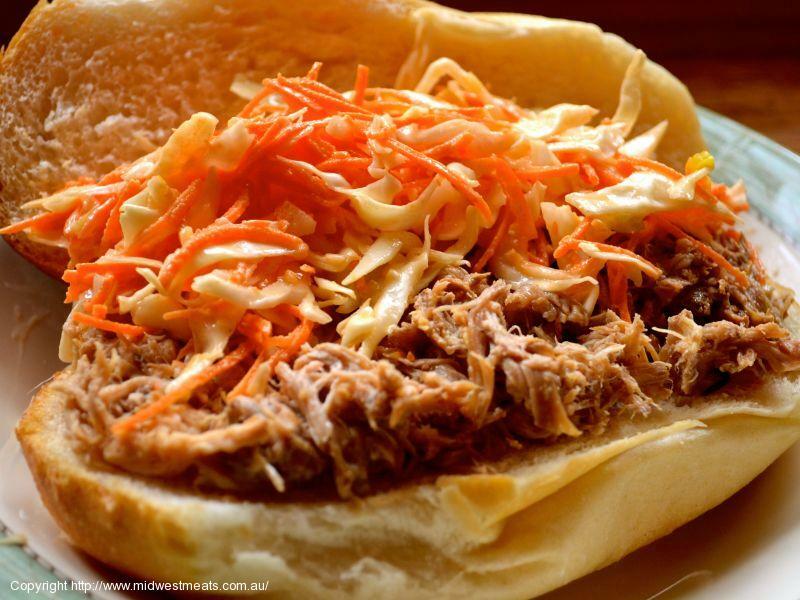 Aussie Pork, hand pickled at your Aussie Independent Butcher! 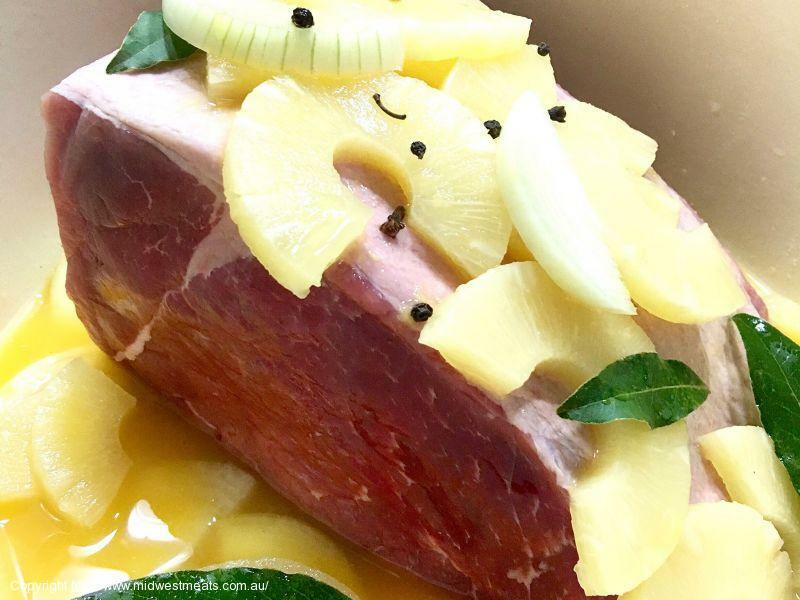 Its not just the MidWest Team that love this ole fashioned recipe, we actually won an Australian Pork National Competition with it! WARNING: Please read your Pressure Cooker Manual to ascertain correct liquid levels, use & safety instructions. 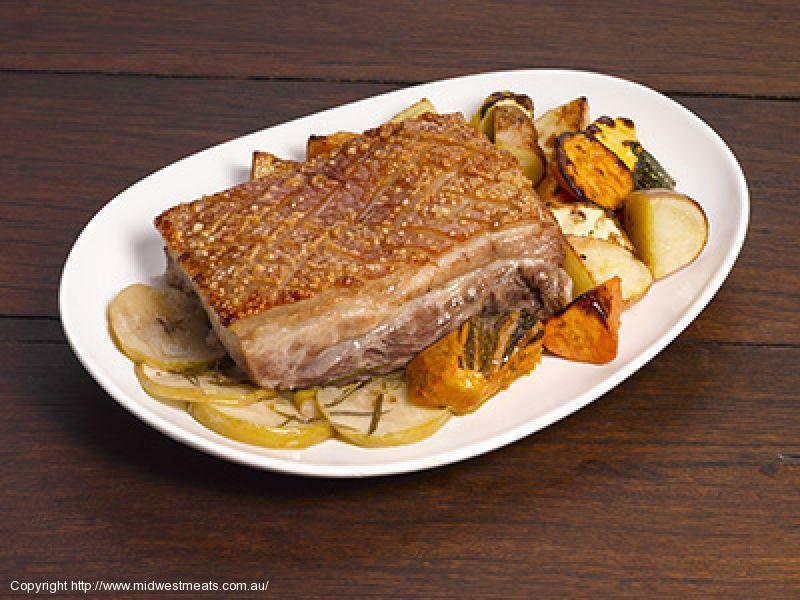 Pork Belly is a popular favourite with family, friends & customers. My Pork Belly Roast infused with local granny smith apples and fresh rosemary from my kitchen garden is a winner! So simple, it will become a family favourite in your home! Slow roasting is a great way to utilise cheaper cuts and maximise flavour. 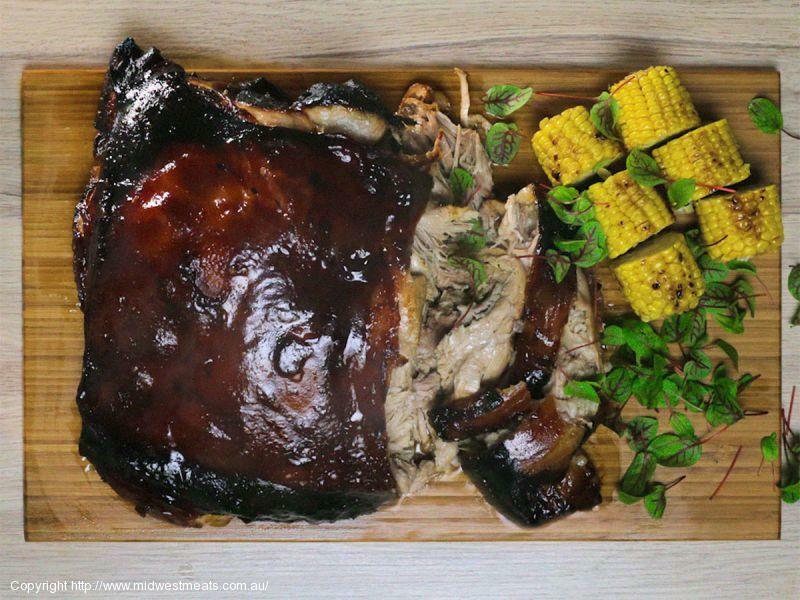 This family favourite using locally farmed Australian Lean Shoulder Of Pork is sure to please. Pack a flavour punch on your dinner table. This quick and easy recipe will delight friends and family. Use my Discover The Pork Secret article to understand how wonderful locally farmed pork can be. Golden chips are a perfect partner for pork. As much as my family enjoy an amazing locally grass fed beef steak, a change is always welcome. 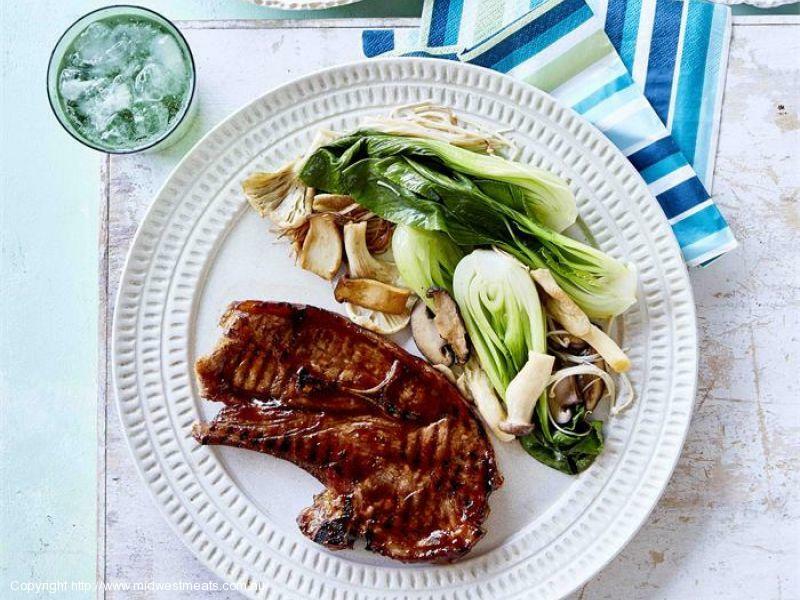 Lean pork provides an amazing quick, healthy and delicious substitute for beef and lamb. 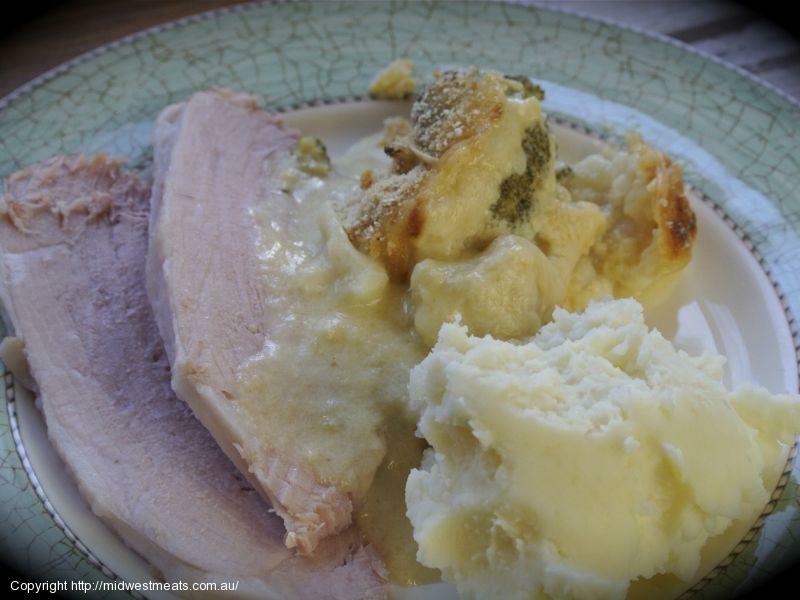 Using our locally farmed potato's available online and instore during the season, you'll be cheering with this local seasonal, yummy recipe which is a collaboration with Australian Pork to promote local pork farmers in our area. I've thrown a little port into the recipe to warm us up as Autumn leads into winter. A recipe requested frequently making it my pleasure to is share with one and all! 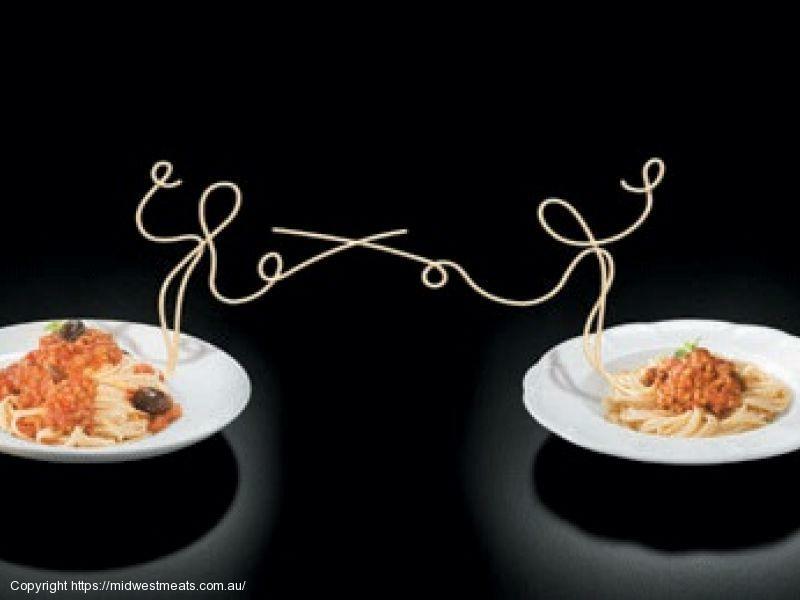 Spaghetti Bolognese has become a favourite in Australian Households as its super simple, nutritious and yummy! Spaghetti Bolognese has been my children's favourite ever since I can remember! 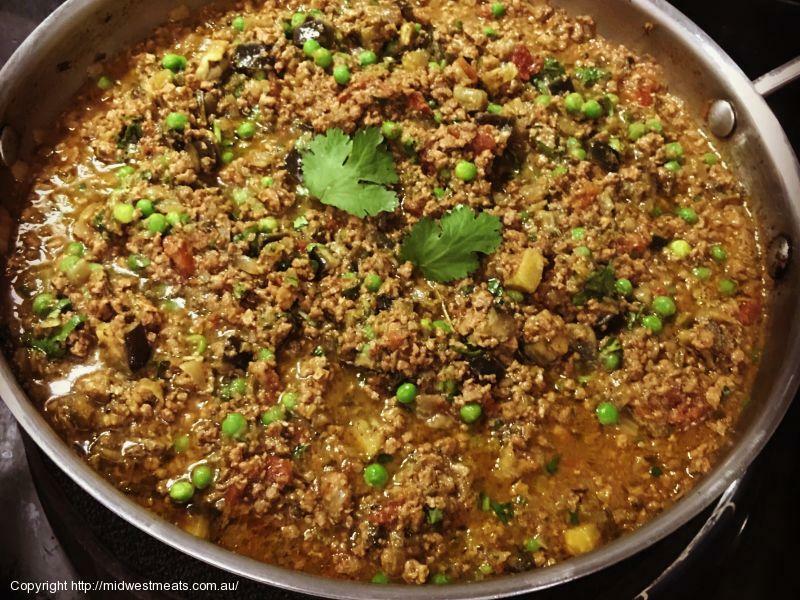 My tried and tested recipe is based on a traditional Italian Bolognese style which will be enhanced when using fresh grass fed local MidWest Meats lean Beef Mince and Pork Mince. 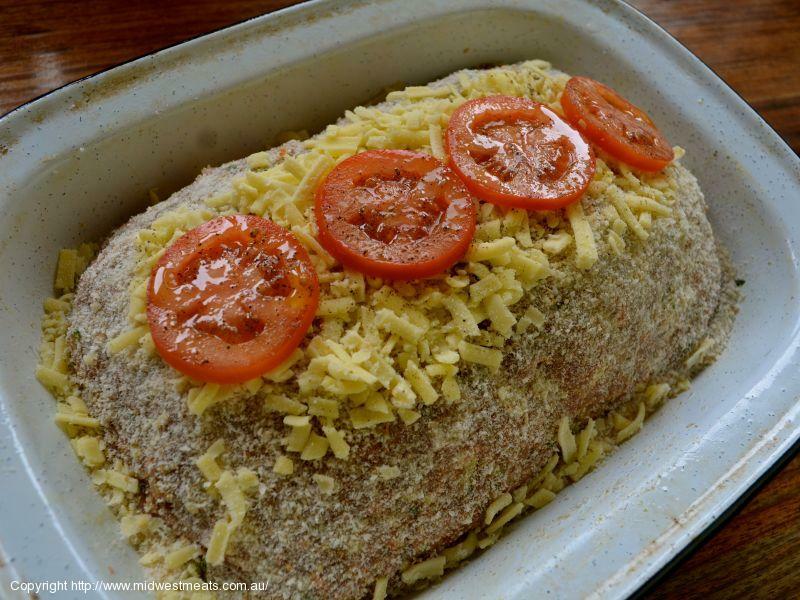 A hearty family favourite for all ages, especially delicious if served with freshly grated parmesan cheese. 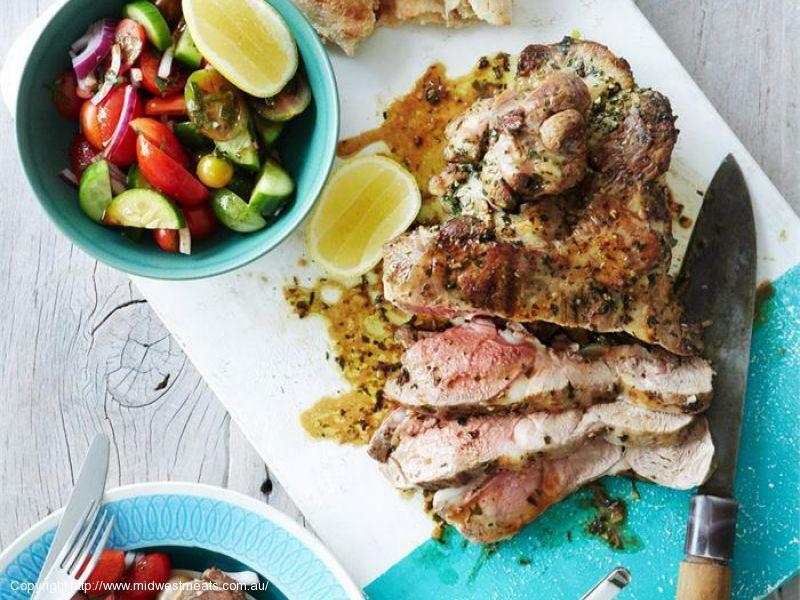 Lamb should be the seasonal choice for everyone. The most affordable cut is the forequarter or BBQ Lamb Chop. Try this wonderful fragrant value packed meal today. Corned Beef is also known as Corned Silverside. A fabulous dish traditionally for the cooler months, however I believe it works equally as well anytime of year served cold in a sandwich or roll with lashings of your favourite chutney, relish or seeded mustard. A fork should easily penetrate the meat when cooked. I always leave the meat in the cooking liquids until served, even if using as a cold cut the next day. My recipe uses fruit instead of sugar for flavour and balance. I've had the pleasure of hiking both the north and south of Vietnam with friends. It was awesome exploring rural villages that have hardly ever seen a westerner. I was lucky to be welcomed into Vietnamese homes to eat traditional foods and see how they are prepared. I have had the opportunity to enjoy cooking classes in Ho Chi Ming, as well as explore wet markets and paddock to plate throughout Vietnam. I've also enjoyed a more relaxed boutique Vietnamese coastal style holiday with my husband. During which I developed an insight into char grilling meats and seafood on primitive open BBQ's. It was interesting to see the flavour intensity using simple seasoning and various BBQ fuels such as palm leaves. Amazing how these primitive BBQ processes added to the final flavours of the dish. Vietnam is still an affordable destination with many cultural highlights and sensory delights. If you can't get there, let me share a little bit of Vietnam with this simple recipe. 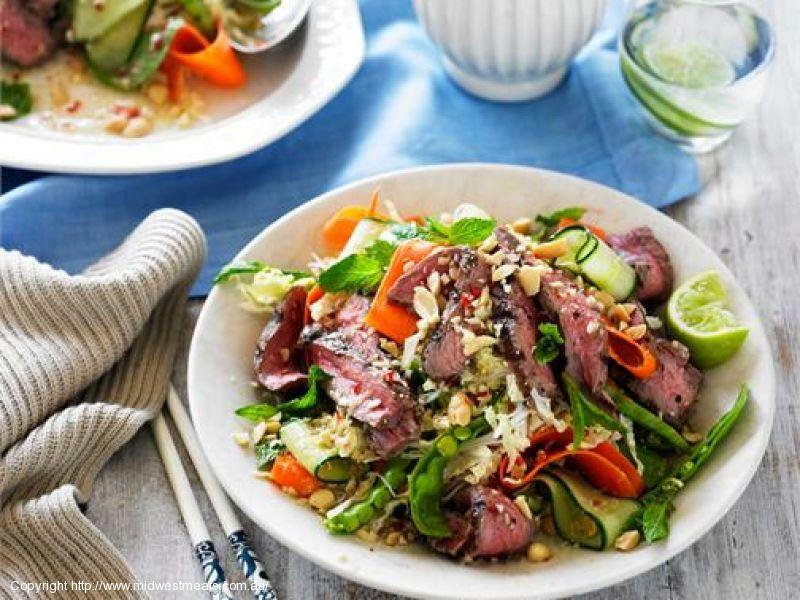 Perhaps one of the most famous dishes loved by all, is Vietnamese Beef Salad. Loved as it's fresh and heathy yet packed with popping flavour. It's my definition of 'fresh on a plate'.